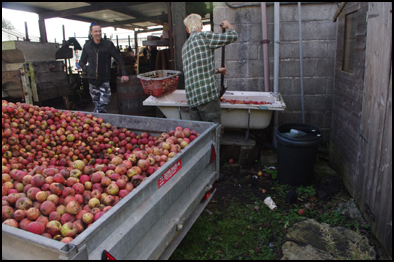 This Sunday the clocks went back and I returned to the Mill House Cider Museum in Owermoigne. 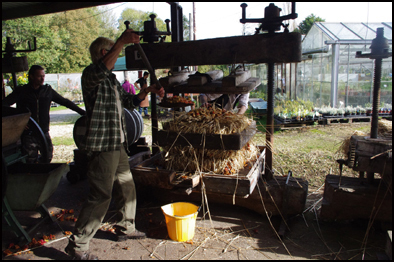 I first visited the museum in August and was so impressed with what they are doing there that I left them some copies of the Peatmore Press book, Cogrill’s Mill, to sell. 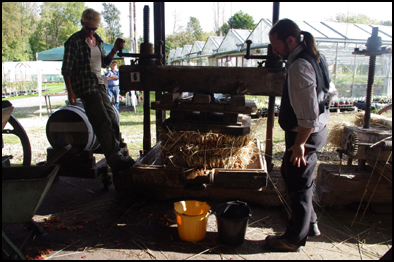 This time I was treated to awesome demonstration of traditional cider making. 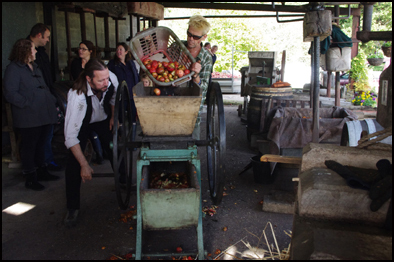 The cider makers were very knowledgeable and highly proficient at their craft and the on looking crowd extremely enthusiastic. 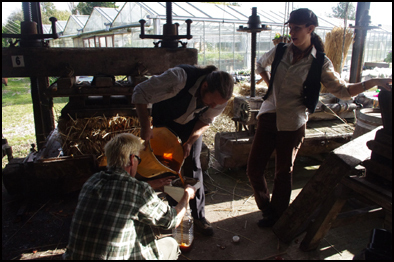 It was a great day out and some images of what I saw are presented below. 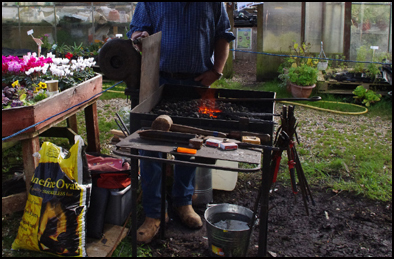 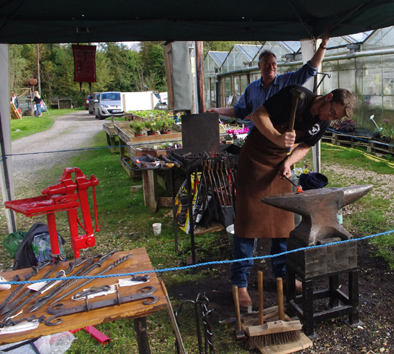 In addition to cider making we were treated to a demonstration of iron tool making on a portable forge. 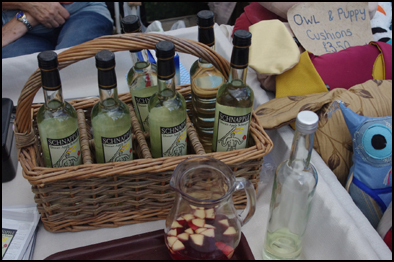 When the day was over I purchased some Schnapple, a local Liqueur specialty made from apple juice, as it seemed an ideal treat for Christmas. 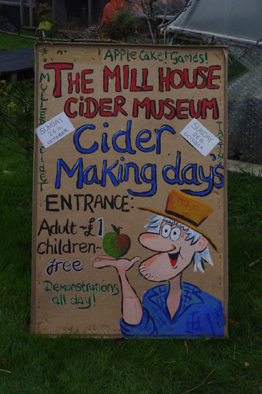 Further details about the Millhouse Cider Museum van be obtained from their website at http://www.millhousecider.com.